Ireland's Finance Minister has admitted ditching plans to burn investors in a rogue bank after a last-minute call from the European Central Bank (ECB) warning him a bomb would go off in Dublin. Michael Noonan said he was on his way to the Dail on March 31 2011 to announce his proposals to the nation to make institutional investors share in the pain of the collapse. The move would have seen senior bondholders in Anglo Irish Bank, the doomed property lender at the centre of the Irish banking crisis, hit with €6 billion losses. But Mr Noonan took a last minute call from Jean-Claude Trichet, then ECB president, which forced him into a U-turn moments before his announcement. "He (Mr Trichet) said if you do that a bomb will go off, and it won't be here, it will be in Dublin," Mr Noonan told a parliamentary inquiry in to the banking crisis in Dublin. Asked about the reported remarks in April, Mr Trichet said it "would have been totally not in line with the relationship I had with the Government". But Mr Noonan, for the first time confirming the starkly-worded warning, said he had no doubt about what was said. "I can assure this committee that he said it. He did not use the word economic," he said. "He said a bomb will go off, a bomb will go off, he did not qualify it." Mr Noonan said there were two phone calls between himself and Mr Trichet as well as a conversation with Taoiseach Enda Kenny moments before a declaration was to be made in the Dail. The ECB chief also warned him the move would be considered a default by the markets and could badly hit the financial services industry in Dublin, he said. 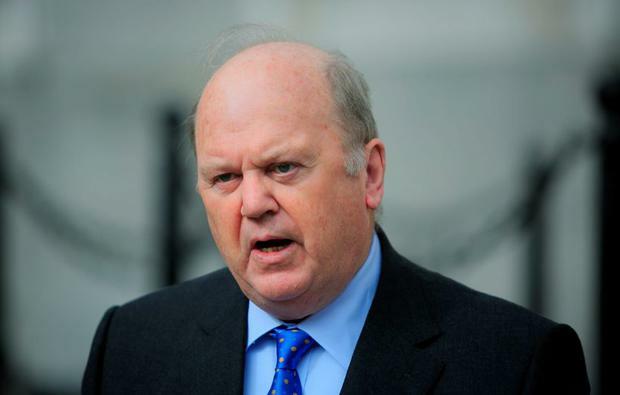 After talks with his officials, Mr Noonan said he eventually decided to drop the planned burning of bondholders, having advised the Taoiseach the risks outweighed the potential gains. "I changed my script and did not propose burden sharing in the Dail," he said. Mr Noonan denied suggestions the intervention by Mr Trichet amounted to a subversion of Ireland's democratically-elected government. "The word 'threat' was never used by myself or Trichet," he said. "It was a conversation - he was pointing out facts as far as he was concerned. I don't want to exaggerate this." Mr Noonan also told the banking inquiry, on its last day of public hearings, he expects Ireland's banking bailout to cost between 30 billion and 35 billion euro. "Taking all of the figures together, it is now apparent that the ultimate direct cost of the bank recapitalisations will be the funds invested by the previous Government into Anglo Irish Bank," he said. "We have taken steps to limit this cost but the final cost, based on the best information available to me at present, will be between 30 billion and 35 billion euro."